انجمن نجات ايران : Iran: Can the Regime Go Back Home? Iran: Can the Regime Go Back Home? The current situation in the Middle East is turbulent, to say the least. There is no harmony across the whole region and most of this is because of Iran and its interference in the internal affairs of other nations. It is setting up militias in other countries and is moving arms, weapons and military personnel around as if it is in charge of the whole area. The Iranian regime has no respect for its neighbours or the borders that separate them. It has no qualms about entering another country and worming its way into the systems that govern them. 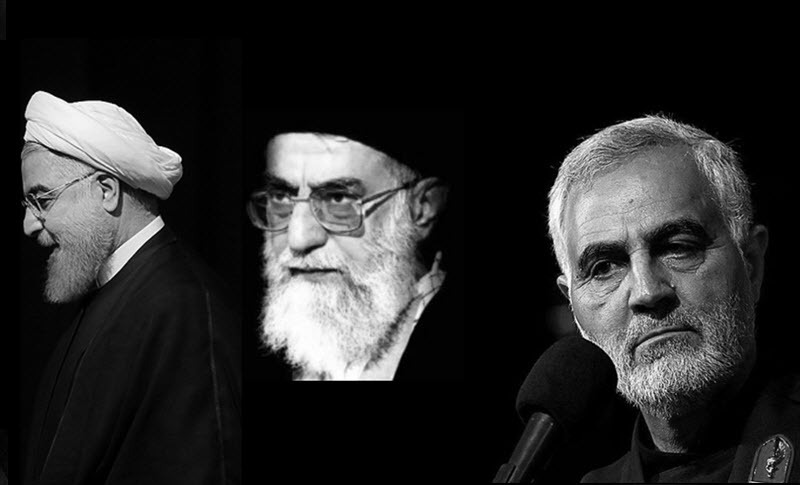 The Iranian regime will only cooperate if it is getting something sizeable in return. To make the situation worse, Iran justifies its export of the Islamic Extremism in a way that has no place in the modern world. One of the biggest lessons that can be learned from the conflict and unrest in the Middle East over the past few years is that when a nation meddles in the affairs of others, already existing conflicts will worsen. Iran has often used the pretext of getting involved for religious or ethnical reasons, but it is clear to see that Iran only gets involved when it has something to gain. It does not care about the consequences of its actions. It is essential for policies to be put in place to ensure that borders are respected and that policies that aim to change and destroy demographics are stopped. The presence of ISIS in the region created even more instability and the sectarian divisions became even more prominent. The inevitable battle to get rid of ISIS led to the creation and involvement of more militias and proxy groups. Very soon, Vladimir Putin and Donald Trump will meet in Helsinki, so things may not be going in the way the Iranian regime hoped. Will Iran leave Syria and return to its own borders? It is unlikely. And it is certain that it does not want to. This is because the Iranian regime’s biggest threat is found at home. It is the people of Iran. The domestic unrest since the end of December last year has really destabilised the leadership of the country. A few protests about the economic situation turned into a major uprising and the protests are still going on to this day. In the past 6 months, people in Iran have been calling for regime change and have been heard chanting “down with Rouhani” and “down with the Supreme Leader”. They know that there is no hope of living in a free and democratic Iran until the rule of the mullahs ends. The people have been calling on the regime to leave Syria and to concentrate its efforts on repairing the broken social and economic situation at home. The regime is completely incapable of reform, despite what many Western leaders – past and present – have tried to claim.